A deer was spotted in the backyard of a home in the 5700-block of N. Kenmore on Wednesday morning. 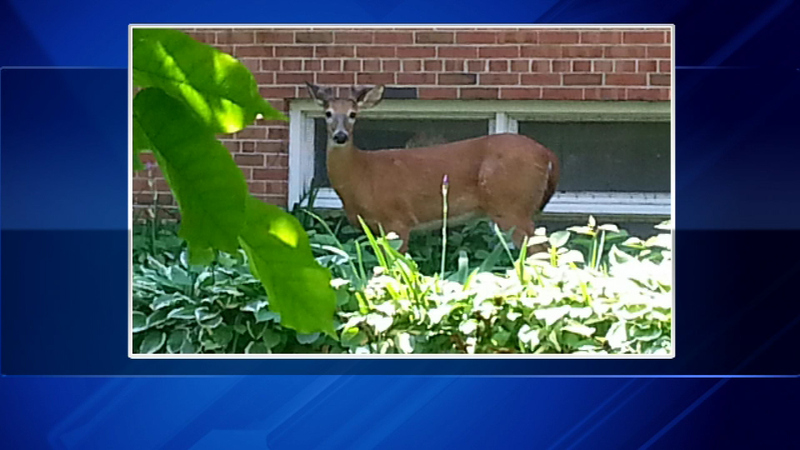 CHICAGO (WLS) -- A deer was spotted in the backyard of a home in the 5700-block of N. Kenmore in the city's Edgewater Beach neighborhood Wednesday morning. People who live in the area called police and animal control. The deer was captured in a nearby parking lot. Animal control told one neighbor the deer will go to an animal sanctuary in Barrington.